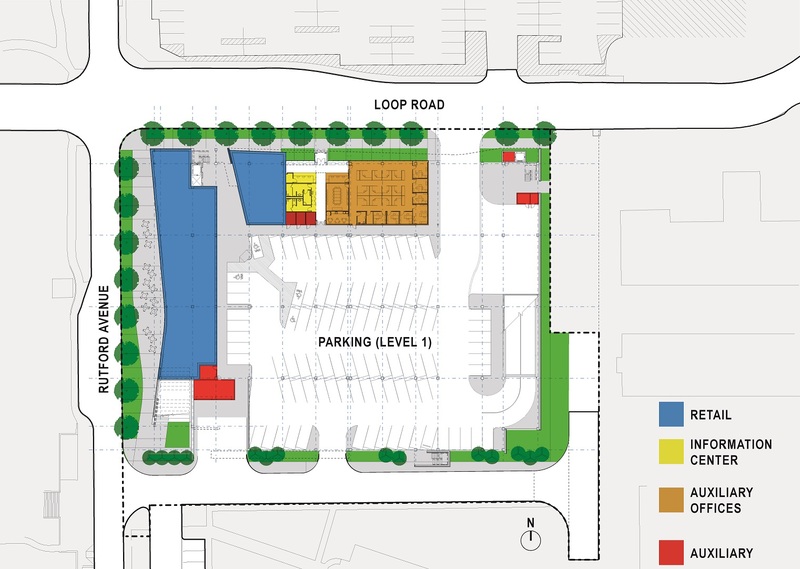 Sitting at the axis of vehicular travel and pedestrian movement, the Mixed-Use Parking Structure is central to the campus's core at UT Dallas. Functionally, the garage responds to the campus's vehicular needs, and our design anticipates and responds to pedestrian needs, as well. At the street level, we designed an energetic streetscape. To create dynamic space for dining, we brought the first-floor footprint all the way to the street to create sidewalk opportunities. Also, we designed a rooftop garden and outdoor dining terrace atop the ground-level retail, which stretches across the entirety of the ground-level retail space.